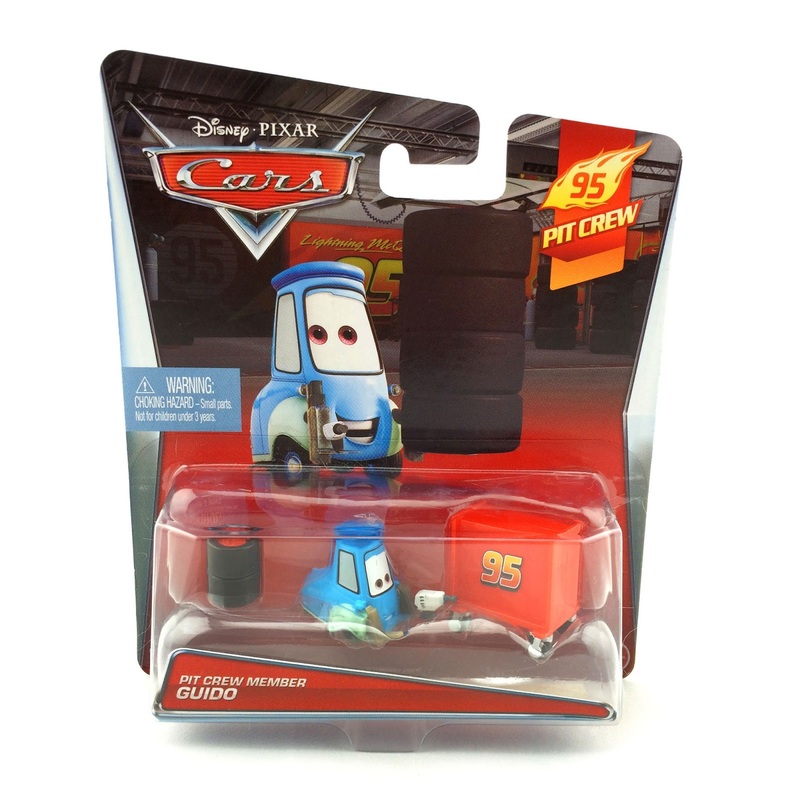 From Mattel, here we have the latest re-release of Pit Crew Member Guido from the original Cars! This version of the character has been available a few times over the years, such as in the "Race O Rama" and "World of Cars" series, but this is a most welcome return for me since I had missed it the first few times around. He is #3/8 of the 2015 "95 Pit Crew" sub-series and, as usual, is a 1:55 scale diecast. As I've mentioned before, I really enjoy when the cars come with accessories that help you re-create scene specific moments- and this one is no exception. The tire stack, screw drive in hand and the tool chest are all great additions!